#1. 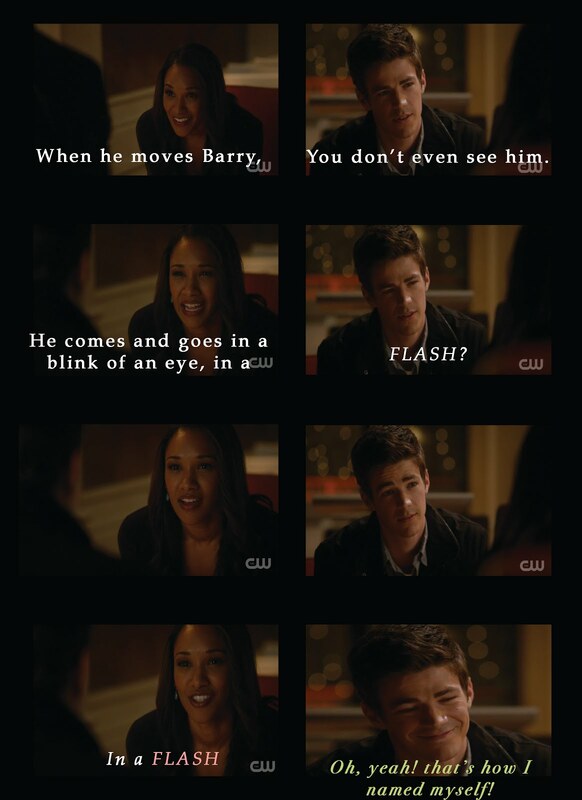 Cisco and his one-liners just kill me, but the look Barry gives him... Oh, Man! Made this One of the Best One-Liner moments in the series! "I think we're gonna need a bigger Flash." #2. The visuals were absolutely incredible! 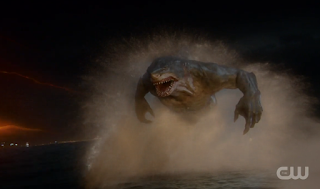 I was just kind of stunned silent at the beauty of him running in circles on water. The lighting, the motion, the clear definition... I mean look at those bubbles! It's gorgeous! #3. Cisco worrying about Caitlin turning into Killer Frost. Talk about a boy that can't keep a secret! But honestly, no one on Team Flash can keep a secret. Caitlin freaking Cisco out at the end was pretty freakin' awesome and serves Cisco right. #5. Barry and Wally's relationship was one of the hardest things to watch this episode, but totally realistic. I've seen a lot of people blame Wally for his sour relationship with Barry, but in truth it's no ones fault. Barry is totally out of it the episode, by keeping the secrets of Earth Two bottled up, he's really kind of depressing. 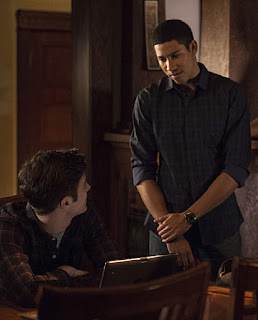 Wally is getting the brunt of Barry's depression and because he has no clue why Barry is acting like this, his immediate thought is 'He hates me.' Barry not realizing his actions believes the same thing, 'Wally hates me.' In reality, neither hates either, Barry's just off his game, but we really can't blame him. #6. Jessie is just trying to figure out her life outside of Zoom prison and on a new Earth. She clinging to the only thing she knows, her Father. Slightly estranged and then separated on earth two for a long while, Harry and Jessie are trying to build up a new relationship and it seems to be going just fine. #7. We finally know who ZOOM Is! ... ... ... Kind of... It's Jay's face, but then who is Jay, do we really know? And who is the guy in the mask? This reveal left me with more questions than answers! #8. Diggle always cracks me up with his reaction to the Flash's Speed, I Hope he never gets over it! It was a nice touch to have Lila reaction too, considering the first time she met the Flash he'd just gotten Sushi... Hm, will Barry and Lila episodes always have fish in it? #9. We have the first relic that will be in the future flash museum! The case and all! Nothing more needs to be said, lol.